You love to create art. When you have a moment with nothing planned, we often see you pull your coloring supplies out. You sit quietly making pictures, & then you hang them up on our refrigerator. 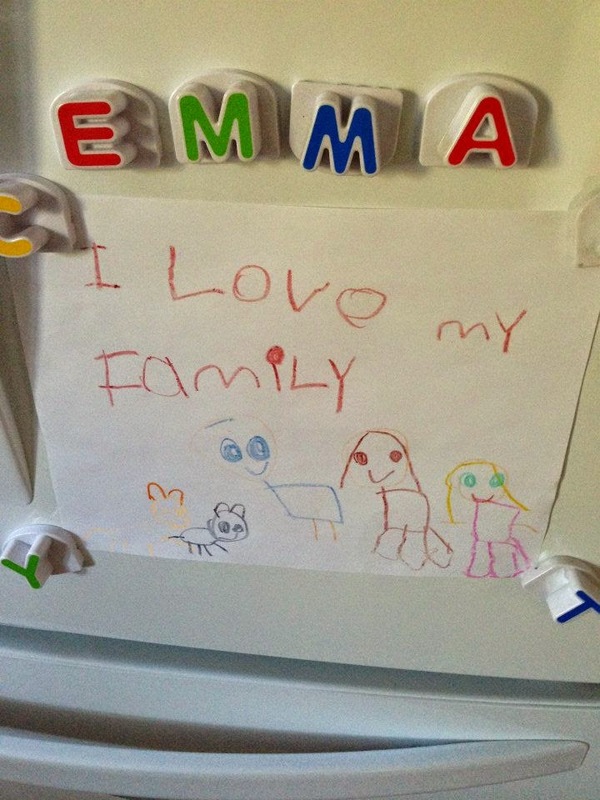 We have a whole art gallery currently hanging on our fridge. 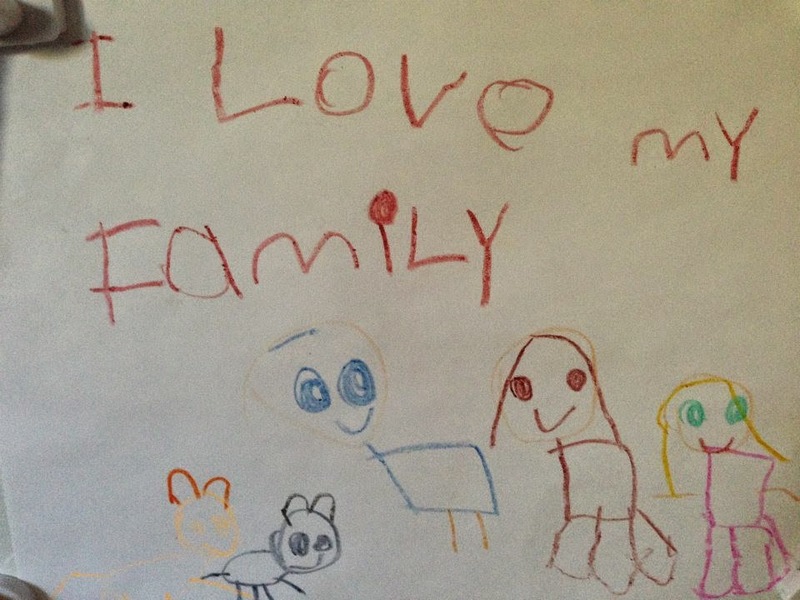 You recently colored a portrait of our family. It made me smile thinking about your very first family portrait (& even the one you colored last year). This time we have bodies to go along with our heads, you made our eye color true to life, there is a written title above the illustration, & you even included our cats. It makes my heart happy every time I walk into the kitchen. Thanks for that.